We are back in Thailand. 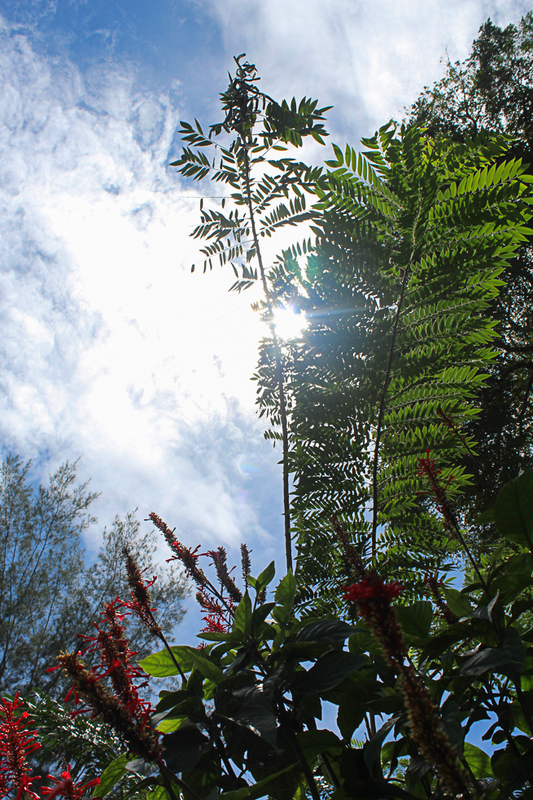 We had such a great time visiting Malaysia and Singapore; like words can't even describe! We loved both places. I'm not really sure how to blog about our travels because I can't share everything on the blog, plus personally, I don't like it when people post 10 posts on one country. What I do have in mind is to share a recap of both countries, post about a few of our favorite activities and I hope to share budgeting/spending with you for each country we visit. Do you all enjoy budget posts about travels? I personally think they are soooo intriguing so I'm wondering if it is just me nerding out or if you enjoy those too? I'm also going to put a few albums of pictures on my facebook page this week so keep an eye out for those. Singapore: I was excited to go because I read on-line that they have really strict laws about cleanliness and if you spit on the ground you can be caned; as in actually hit with a cane for punishment. I guess I'm sadistic because I thought it was funny; but hey, you can't blame me after living in Myanmar for a year where they spit betel nut all over the ground. What happened with those expectations? I was blown away! Malaysia and Singapore were both lovely lovely countries. They were easy to travel, cheap (well Malaysia was at least) and so fun. In Malaysia we first went to Penang. 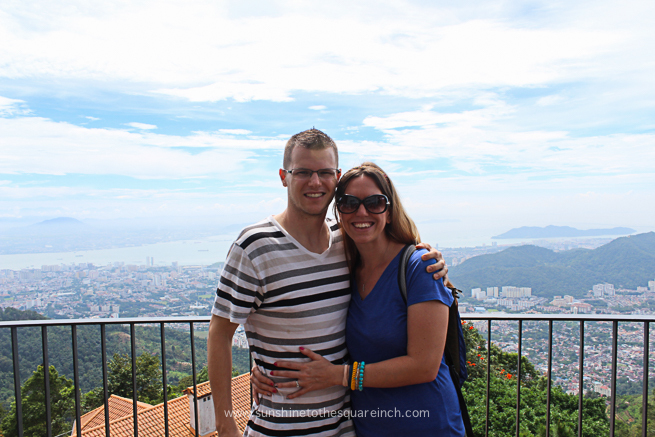 Penang is an island, is also on the way to Kuala Lumpur and I have a blog friend Rachel there as well. Rachel and her husband graciously housed us and took us to some neat places. After Penang we took a bus to Kuala Lumpur. That city you guys! It's fun! Dave and I both agreed that if we didn't have missionary friends in Thailand our visa runs would have been to KL. We stayed near a metro station so we were able to go all over. We did some free walking tours which I thought would be lame to the lame but they were some of my favorite memories from there. We also went to the KL Tower (equivalent to the Space Needle in Seattle but bigger), a lot of parks (free admission so who can say no? ), The Petronas Towers, and China town. I really thought China town was going to be nasty but it had some of the best shopping I've ever seen. Granted it is all knock offs but you can't tell the difference. I'll be sharing more about this in our budget posts. 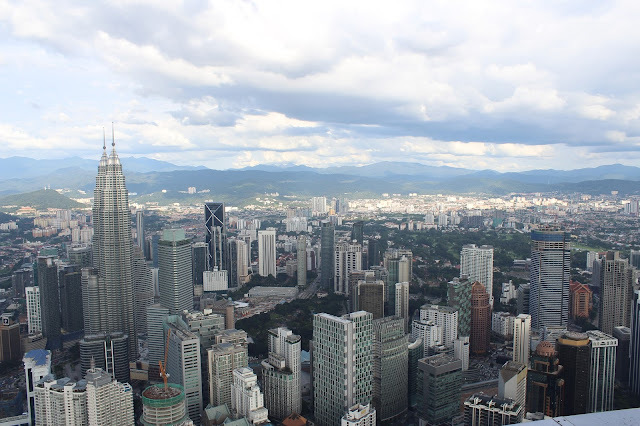 Kuala Lumpur did not disappoint, which I guess it couldn't have after my zero expectations. But still! It should be on your travel list if you are hitting up SE Asia. Lastly we went to Singapore and wow!!! It's clean you guys! I'm guessing someone really got caned because no one spits anywhere nor do they litter. We even saw someone sweeping the ceiling and they were spraying the sidewalk drains for bugs which means .... no roaches! HOORAY! Singapore is bigger than NYC! It's a city island and it is so technological and organized and it felt like I was in the future. I'm not hugely into environment and everything green but it was super interesting to see how Singapore recycles and reuses everything. They even burn their trash and use it for compost. More about this when I share travel budgets but, Singapore is expensive. It was pretty much double the cost of Malaysia so you have to be savvy and really pick and choose what you want to do there but I still highly recommend it. 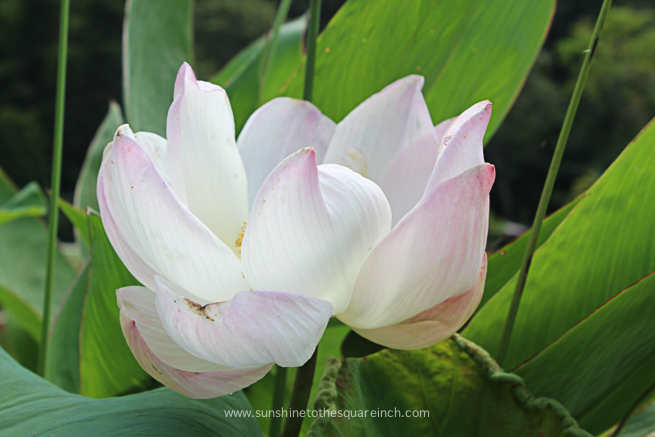 There are many things to do there but we hit up the free parks, went to the malls; which are like a tourist attraction in and of themselves, rode the Singapore Flyer, went to Gardens by the bay and I took a lot and a lot and a lot of flower pictures. If I had to pick one focus for my photography it would be flowers and landscapes ... that has nothing to do with this post but just to say that I got a lot of practice taking pictures of landscape and flowers on this trip. Another thing that made our trip easy was the fact that pretty much everyone in both countries spoke English. They are fluent in it so we didn't have to deal with the language barrier which is a huge amazing deal. All in all we really enjoyed Malaysia and Singapore and I'm just really thankful we were able to go. Thanks for being so supportive of us while we traveled and are abroad! You guys are awesome. If you have any questions about our trip or want to know anything in particular just comment or shoot me an e-mail and I'll either post about it or just write you right back. We will be in Thailand this week and then next week we go to Cambodia & Vietnam! yay! SO awesome! As always, great pictures! So glad you got to go too! So fun! These are all places I would never think to go but they sound amazing! And I agree I never like the ten posts on one trip haha. I'll be honest though I started to do that with my Rome trip and stopped half way through cause it was getting old. Awesome! I'm so glad you're having a good time. And fun seeing blog friends! I bet it was nice to be out in the clean air and nature. The flowers are pretty! I hope you enjoy your next few weeks of travels just as much! You have seen so many places I will never go to, so I'm glad you're sharing! I completely agree with you that most seem to underestimate Malaysia as a place to travel...or else they forget it exists! :) Glad you guys had such an awesome first leg of the trip! I can't wait to explore Singapore with Angel one of these days.